Planète Chocolat offers you secure methods of payment. Our delivery charges for Virginia are 17,90€ including taxes. 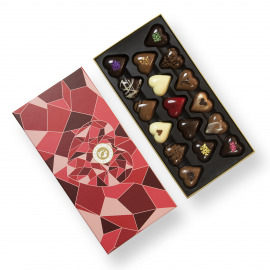 You live in Virginia and you’ve fallen in love with artisan-created Belgian chocolate since you last visited the country. Since then, your taste buds haven’t forgotten those delicious chocolate candies. 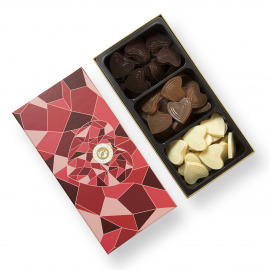 Don’t torture yourself with those savoury memories from the past, and take advantage of our gift delivery service shipping to Virginia - all offered to you by your favourite chocolatier Planète Chocolat! 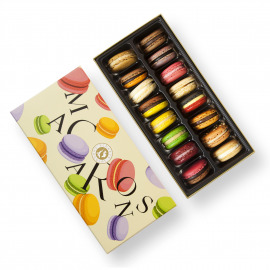 Choose between dark chocolate bars, truffles, pralines and other macarons...Take advantage of our quality service to bring a little joy into your life and into the life of others! Virginia is a state that borders the Atlantic coast in the U.S., about halfway between New York and Miami. Its land varies from Virginia Beach beaches to foothills and Blue Ridge Mountain’s summits, Appalachians and the Allegheny Mountains. Virginia is bordered by the district of Columbia, Maryland, North Carolina, Tennessee, Kentucky and West Virginia. Its capital is Richmond and the most populated cities are Virginia Beach, Norfolk, Chesapeake, Newport News, Alexandria and Hampton. Virginia’s economy is supported by high technology firms and military facilities. It is also where you can find the largest military shipbuilding base in Norfolk. Cattle farms, tobacco, peanuts, tomatoes and soy rounds up other sources of riches. Viticulture is also very common and attracts more and more tourists everyday. So, what does all of this have to do with chocolate in Virginia? Evidently, the history of the cocoa bean is not very conceivable in these regions, given that the conditions aren’t quite favourable for cocoa trees. However, this doesn’t stop certain companies to work with chocolate. This is the case of MeadWestvaco Corporation, an international packaging company based in Richmond. This company developed a carton made out of white cellulose without the use of any optical whiteners. This top of the market packaging has been in production since 2012, following its success with passing the Robinson EN 1230-2 test. 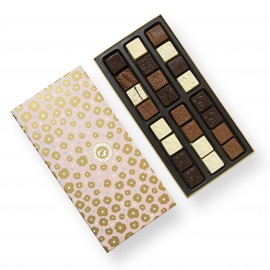 This test entails a sensory analysis that ultimately tells you if a product is high quality, and in such circumstances with chocolate and candies, is maintained by the packaging so it does not alter the smell or taste of the product. 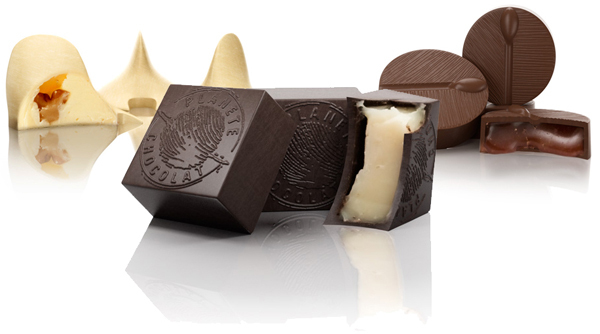 Printkote meets the highest standards of packaging in the European market of chocolates and candies and has been approved to be used so that the packaging can come into direct contact with the products. 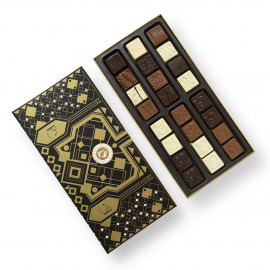 Planète Chocolat uses packaging that compares to this quality, since it preserves all of the flavours of chocolates that you receive in a gift box while it makes its way over to you. 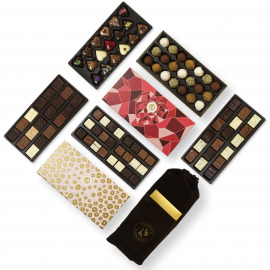 So, take advantage of this amazing chocolate delivery service to Virginia, and relive those tasty moments orchestrated by our chocolate experts. 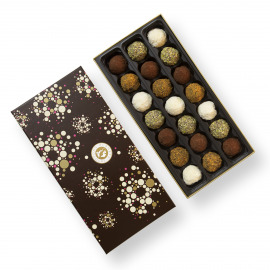 In order to guarantee a quality delivery service to Virginia, we wrap your chocolate in a special isothermal package invented by cooling specialists if temperatures tend to be high. 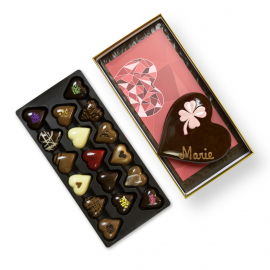 Your chocolate is sensitive to heat and fragile, therefore it is protected from impact and kept at a temperature under 20 degrees until it arrives at its destination. Thus, quality and taste are always guaranteed.